Conquer the wild west by becoming the best duelist ever seen. Unforgiven is a VR game that brings you the thrill and tension of a true western duel. Face another player in an experience where a split second can decide who lives and who dies. Thrive in the ruthless social world of Unforgiven and become a true legend. 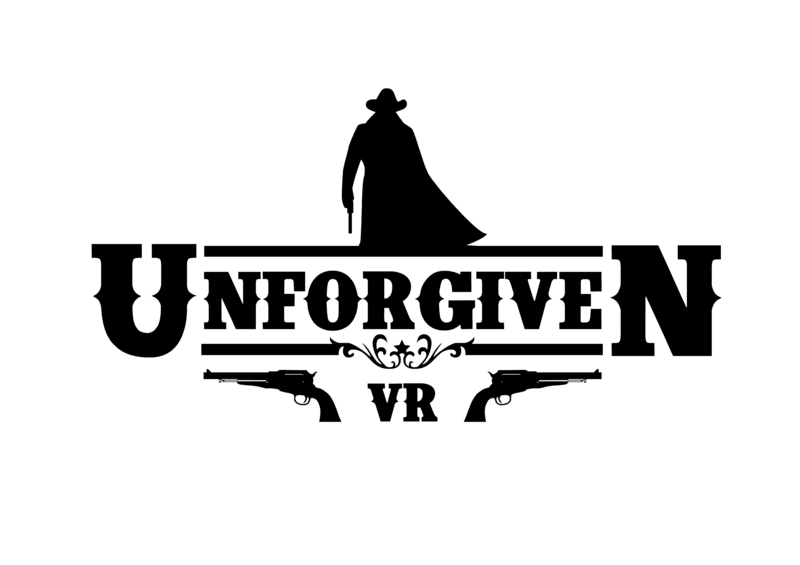 Unforgiven is a VR game for HTC Vive that let you become a western duelist and face other player in a real shooting duel where a split second can make the difference. The game lets you search for fast duels with anyone or duel a specific player. Each duel has several rounds and let the players rematch if they want so. There are several characters available, different weapons to use and even additional modes that let you practice your aim through different types of challenges (such as shooting cans in your ranch). It’s a matter of courtesy: a duel has some rules every gentleman out there need to know and respect. You will be able to select one of the 4 characters and challenge other online people or the AI to duel on 1 scenario and score for a leaderboard based on your win/loss ratio. Do you need to improve your aim? No problem, you can go to the training area to practise. Tired of shooting your friends? Take a break in the saloon, play poker with other people or join a knife throwing game while you wait for someone to duel you. The training area will be enhanced with challenges like “shoot three times in the air that can”. What you want more shooting? No problem, there will be new characters and scenarios to play with. Forget about the old leaderboard. Now you will have to create a character and start your journey to become a true legend. Duel someone for a fistfull of dollars, but be careful, now you can get hurt or even die, and it will mean to lose your character and creating a new one. Ah, and remember, now your ammo will deplete, go to the general store and buy some more. As usual, new characters, weapons and scenarios will come with a enhanced saloon with more places to interact with. Dress like a sir, die like the rest, more aesthetic and gameplay complements, you know, a good flask in the pocket could stop a bullet. But be cautious, being hurt in a duel will make easier to be killed in the next, take a break to restore your health or… visit the barber and it will fix you up in a minute… for a price. Not the only new pal in the city, new characters will come and a new NPC, the undertaker, that will immortalize you in the Valley of Crosses. Last but not least, sometimes we will be able to find special cards that will come with item drops. Group with your friends for the ultimate dueling experience. Will you try to rob the bank? Be careful, maybe there are other parties that will try to stop you. Delirium Studios is an independent video game studio that aspires to create innovative video games from an artistic perspective. Delirium guys are well known nationwide to be loyal to a set of values, such as considering videogames as an artistic expression, and to be capable to take their premises to reality through high quality standards, by surrounding themselves of the most talented and vocational teams. Painters, musicians, interior designers, and other professionals from other creative industries are in dialogue with Delirium to create every new delusion – which, each time, seems to get bigger and bigger, by the way… Let’s see, what would be next?